The death of a loved one always causes emotional and financial upheaval in people’s lives. When the death is unexpected because of an accident, trying to make decisions about taking care of your family’s needs becomes challenging. When the accident was the result of another person’s negligence or misconduct, the feeling of injustice coupled with the sadness can be overwhelming. If you lost a loved one in a negligence accident or because of another party’s misconduct in New Jersey, you might benefit from the services of having a leading wrongful death litigation firm on your side. We are the serious injury law firm of Eichen Crutchlow Zaslow, LLP. From offices in Edison, Red Bank, and Toms River, our wrongful death lawyers provide aggressive, effective legal representation for individuals and families with wrongful death claims throughout the state. If a person dies because of a reckless, careless, wrongful, or criminal act, family members who were supported financially by the deceased may have grounds to pursue a wrongful death case to recover damages. A wrongful death claim seeks to recover what the decedent could have recovered in a personal injury claim had he or she survived the incident. Wrongful death actions must be filed within two years of the death of your loved one, or you could be barred from collecting compensation. How does a survival action differ from wrongful death? 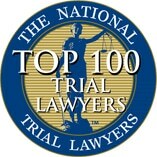 New Jersey law allows two ways to recover compensation for the loss of a loved one because of negligence or criminal conduct: a wrongful death claim, which is brought by family members who can prove that the death of the decedent caused them to suffer financial losses and a survival action, which is intended to compensate the decedent’s estate for the pain and suffering the individual endured between the time of the injury and death. An example might be the case of a man who was standing on a restaurant deck when it collapsed. He suffered a broken back and severe spinal cord injuries in the deck collapse, but he survived a few days until he suffered a stroke because of his injuries. His surviving spouse may file a wrongful death claim to recover compensation for the loss of the head of the household whose income supported the family, and his estate would recover compensation for his pain and suffering, his emotional distress, and other losses related to the accident. The damages from the wrongful death claim go to the surviving family members while the damages from the survival action go to the estate to be distributed according to the decedent’s will or according to state inheritance laws if the individual died without a will. Who can bring a wrongful death action in NJ? New Jersey law limits the people who can bring a wrongful death claim to the immediate family members who were financially dependent on the decedent including the spouse, minor children, parents, adult children, siblings, grandchildren, nieces or nephews who were financially dependent on the deceased. 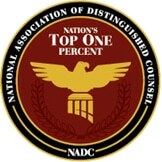 New Jersey wrongful death claims are a unique type of litigation. These cases can become complex, often with multiple-party liability and comparative liability affecting the resolution. We work with prominent independent experts in the field of accident reconstruction, and actuarial financial services to develop the evidence and present the case for full and fair compensation. Schedule a free case evaluation about your prospective wrongful death case. We will explain New Jersey law regarding wrongful death litigation and provide an honest assessment of your case. If our New Jersey wrongful death attorneys are the right fit to handle your case, we can get started once you call. The skilled New Jersey serious injury attorneys are a team of experienced litigators. We know your name, we listen to your experiences, your goals and interests, and how your injury has had an impact on your life. We are responsive to your needs and we fight to protect your interests. 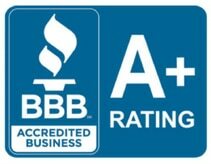 Our law firm is accredited by the Better Business Bureau, and our partners are Certified Civil Trial Attorneys https://www.njcourts.gov/attorneys/attcert.html by the Supreme Court of New Jersey. 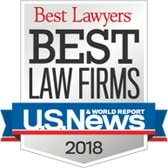 The New Jersey wrongful death lawyers at Eichen Crutchlow Zaslow, LLP advise and represent clients in personal injury and wrongful death litigation matters throughout New Jersey. Call our office at 732-384-1331 or contact us online to arrange a free consultation with an experienced NJ wrongful death lawyer at our Edison, Red Bank, or Toms River office.